Previous payment was $1,366 with 6.125% interest, 5 months past due. Modification requires contribution of $784.74. New payment is $1,122.75, including escrow, for the life of the loan. Previous interest rate 6.75% fixed, FHA loan. Monthly payment $1,228.34 PITI, 7 months past due. New interest rate 5.5% fixed for the life of the loan, 1st payment due October 1 good faith deposit of $1,299.17 due 7/31. Borrower was 6 months past due. Monthly payment of $2,074.64 PITI. 6.75% fixed interest rate. Three month trial plan for $1,551.43 starting September 1, 2009. Final modification will be granted after 3rd successful payment. Monthly payment $2,534.43 PITI. Borrower was 7 months behind, owing $16,186.96. Three month trial plan. Payment of $1,863.76. Monthly savings of $670.67. Monthly payment of $3,280.51 PITI. Borrower was 3 months past due. Approved for a six month forbearance plan with payments of $1,763.67 starting September 1, 2009. Savings of $1,516.84 per month. Full modification to be granted at the completion of this plan. Payment was $1,354.17 PITI with 5.75% adjustable interest. Borrower is past due $11,301.10. New payment is $1,151.75, saving $202.42 per month. New interest rate 4.250% for 4 years. Monthly PITI payment $3,158.74 PITI with adjustable interest rate. Past due $25,521.74. New monthly payment $2,263.00, saving $895.74 per month. This is a 3 month plan toward a permanent modification. Monthly payment $1,199.50 PITI, 3 months past due. New monthly payment $978.98 for 3 months, then the loan will be reviewed for a permanent modification. Past due $8,785.68, Adjustable Rate Mortgage, monthly payments of $2,170 PITI. New monthly payment is $1,054.62 for a 3 month trial and foreclosure is prevented during this time. Monthly payment was $1,842.56 PITI, with $7,089.07 past due. New payment is $1,644.25 PITI for 3 month trial plan. One month past due, monthly payments are $1,531.23. New 3 month trial payment is $1,240.00, saving $292 per month. Borrower was 9 months past due owing $9,882.62 with monthly payments of $1,581.90 and 7.47% interest rate. New monthly payment is $1,245.46 PITI with 7.0% fixed interest rate, saving $336.44 per month. Borrower was 11 months past due, owing $9,231.40 and in active forclosure. Monthly payments were $801.83. Three month trial plan toward modification with 3 payments of $569.75, saving $232.08 monthly. Borrower was current and not yet behind on making payments. Monthly payment was $752.23 with 6.250% interest. Four month trial plan with monthly payments of $426.25, saving $325.98 per month. Final modification will be granted after these 4 payments. Wow! Past due owing $31,753.49, monthly PITI payments of $3,157.00. Property in foreclosure. Stellar trial plan toward modification: 3 Month trial plan with payments of $1,764.49, saving $1,392.51 per month during modification. Foreclosure is on hold. Borrower was 6 months past due in the amount of $23,756.04, monthly PITI payments of $3,959.34. Permanent modification with 2.5% interest for the first 5 years with PITI payments of $2,665.84, saving $1,293.48 per month. Interest rate will increase the 6th year to 3.5%, 7th year to 4.5%, and for the 8th year and remaining life of the loan a fixed 5.0% interest rate. Borrower was past due $28,283.56 with monthly PITI payments of $4,192.52. Approved for three month trial plan with monthly payments od $2,093.74, saving $2,098.46. Will be approved for final modification after three payments. Borrower had not missed any payments. Monthly PITI payments were $2,289.18. Approved for three month trial, Making Home Affordable plan. Three monthly payments of $1,157.93. After third payment final modification will be reviewed. Borrower was 8 months past due owing $11,845.20. Monthly PITI payment was $1,480.65, 10.5% interest rate. Approved for a three month trial plan. First trial payment is $1,148.39, second and third payments are calculated with 5.5% interest rate, to $861.06. Trial plan is saving borrower $1,571.44 total. After three successful payments, loan will be reviewed for a permanent modification. Borrower was three months behind owing $6,123.06. Monthly PITI payments were $2,041.02 with 6.5% interest rate. Approved for 3 month trial plan under HAMP with monthly payments of $1,333.00, saving $708.02 per month. After completing 3 trial payments, borrower was approved for a permanent modification. For 5 years, interest rate is 2.625% with PITI payments of $1,520.80, borrower will be saving $520.22 each month. Over 5 years, this is savings of $31,213.20. Wow! Interest rate will increase 1% each year for 3 years, capping in the 8th year at fixed 4.875% for the remaining life of the loan. Borrower was current - not behind on payments. Monthly PITI payments were $1,537.33. Approved for a three month trial plan with payments of $969.44, saving $567.89 per month. Monthly PITI payment was $1,531.33 with fixed 6.50% interest. Borrower was 5 months past due. New monthly PITI payment is $885.07 with fixed 2.00% interest for 5 years. Interest will increase to fixed 4.00% in the 7th year and remain at 4.00% for the life of the loan. Borrower was 14 months past due, owing $25,983.76, and in foreclosure. Monthly payment was $1,719.11, with 6.625% interest. Borrower was granted a Step-Up Rate Plan, first payment not due until July 1, 2010. The past due balance was added to the end of the loan. Step-Up Rate is as follows: 2.125% interest for the first 5 years with P&I payments of $920.44, saving $798.67 per month. Interest rate will increase the 6th year to 3.125%, 7th year to 4.125%, 8th year to 5.125%, and for the 9th year and remaining life of the loan a fixed 5.5% interest rate with monthly payments of $1,233.35. Borrower was 9 months past due, owing $10,082.05 and foreclosure proceedings had been started. Borrower had a 5.875% fixed interest rate with a monthly PITI payment of $1,498.33. Borrower was granted a traditional modification and monthly payment was reduced to $1,233.13 ($265.17 savings per month). Foreclosure was canceled. Bank of America extended length of the loan and added the past due amount to the back of loan. Borrower was $13,039.44 past due on an FHA loan with an interest rate of 6.0% and monthly payments of $2,286.61 PITI. Borrower was brought current and first payment is due in 2 months. His new monthly payment is $2,171 PITI ($114.91 saving) with an interest rate of 5.0%. Borrower received a final modification and first payment is due in 2 months. He received an interest rate of 3.875% and a monthly payment of $1,953.38 PITI ($169.98 savings) for 60 months, than payments will change to $1,724.50 PI for the life of loan. Borrower was past due 23 months ($43,285.20) with an interest rate of 6.375% and monthly payments of $1,894.86 PIT. Borrower was in foreclosure with a sale date scheduled. Borrower's sale date was canceled. New interest rate is 5.00% and monthly payments were reduced to $1,882.44 PIT. Borrower is current and gets to keep their home after two years of non-payment. Borrower was past due $8,761.81 and had an interest rate of 6.375% with monthly payments of $1,462.23 PITI. Borrower only paid $1,227.04 good faith deposit and received a new monthly payment of $963.22 PITI ($499.01 savings per month) and an interest rate of 2% for 5 years. In the 6th year the interest rate will change to 3%, in the 7th year to 4% and in the 8th year to 4.375% for the life of the loan. Borrower was $19,997.03 past due and was in active foreclosure. Borrower had an FHA, fixed rate loan with a 5.875% interest rate and a monthly payment of $1,691.32 PITI. Borrower's foreclosure was canceled and she is starting fresh. Her new payment is $1,416.15 PITI ($271.17 savings per month), partial claim, and the interest rate remained the same. Borrower was $32,375.63 past due with an interest rate of 6.875% and a monthly payment of $1,687.31 PITI. Borrower was in foreclosure with a sale date. Borrower's new payment is 1,026.40 PITI and interest rate is 3.375% for the first 5 years and will change to 4.375 on the 6th year and for the remaining life of the loan. Sale date was canceled and borrower is free from foreclosure. Borrower was past due $6,717.62 with an interest rate of 7.125% and monthly payments of $1,239.50 PITI. Borrower was $15,681.57 (15 months) past due and in an active foreclosure. Monthly payment was $1,126.30 PI on her 6.00% interest rate loan. Borrower's new payment is $1,032.32 PITI and new interest rate is 4.635% and is fixed for the life of the loan. Account is current and foreclosure will be canceled. Borrower was $23,262.73 (16 months) past due. Monthly payment was $806.99 PI (no escrows) with a 6.375% interest rate. Borrower received a trial modification for 3 months with a monthly payment of $859.94. After successfully completing trial plan, borrower was approved for a final modification with monthly payment of $859.95 PITI and new interest rate is 2% for 5 years than it will change to 3% for the 6th year, 4% for the 7th year and 4.5% for the 8th year through the remaining life of the loan. Foreclosure sale date was canceled and the $23,262.73 in past due monies were placed at the back of the loan. Borrower was $39,539.33 (25 months) past due. Monthly payments were $1,566.91 PITI on her FHA, 6.50% interest rate loan and in foreclosure. Borrower received a final modification with a new payment of $1,575.13 PITI and a 5.00% fixed interest rate for the life of the loan. Initial payment of $1,575.13 is due when the agreement is returned and 1st payment will not be due until March. Loan brought current and foreclosure will be canceled. Borrower was $54,536.08 past due. Monthly PITI payments were $2,944.41, with a 6.875% interest rate. Property was in an active foreclosure. Borrower received a final modification with a new PITI payment of $1,953.02 ($991.39 savings per month) and a 5.00% fixed interest rate for the life of the loan. This modification includes a $181,748.76 deferred principle balance. Borrower was 6 months past due and in an active foreclosure. Monthly payments were $1,026.48 PITI on a 6.5% interest rate loan. Borrower received a trial modification for 3 months starting with a monthly payment of $926.90. Received a final modification with the same payment of $926.90 PITI and new interest rate is 2% (HAMP). Borrower was 23 mortgage payments behind owing $43,910.85. Property was in active foreclosure. The monthly payment was $1,847.92 on a 6.5% fixed interest rate loan. Borrower received a final loan modification with a new monthly mortgage payment of $1,885.72 and a 5.25% fixed interest rate. Foreclosure process was stopped, delinquent amount was placed at the back of the loan and borrower received a fresh start, even after not paying their mortgage for almost two years. Borrower was $11,378.12 past due and had a monthly mortgage payment of $863.26 PITI. Original interest rate was 8.25%. Borrower received a final loan modification with a new monthly mortgage payment of $547.17 PITI ($316.09 savings per month) with a 4.375% fixed interest rate for the first 5 years. The interest rate will change to a 5% fixed interest rate for the remaining life of the loan. The past due amount was rolled into the new loan and the borrowers only had to provide a $900 good faith deposit. The borrower had a past due amount of $16,943 with an escrow shortage of $2,793 and her house was in active foreclosure. She had an adjustable rate mortgage with a 8.125% interest rate and monthly loan payments of $760.50 (PITI). The borrower received a final loan modification and Amerihope Alliance stopped the foreclosure. Her account was brought current and she was given a fresh start with a fixed interest rate of 5.25% and new monthly loan payments of $773.09 (PITI). The borrowers were $48,238.92 past due and the property was in foreclosure. They had a fixed interest rate of 6.25%. The borrower's interest rate was modified to a 5.50% fixed interest rate. Bank of America required up front funds in the amount of $2,128.30. Their monthly mortgage payments were modified to the same amount of $2,128.30 and the first payment is due in 60 days. The foreclosure process was stopped and the past due amount was placed on the back of the loan. Monthly mortgage payments were $2,366.42 with an 8% ARM interest rate. Homeowners were past due $45,000 and facing a foreclosure sale date from Bank of America. Foreclosure sale date was postponed and borrower was granted a three month trial loan modification with payments of $1,628.95, a monthly savings of $737.47, and a temporary fixed interest rate of 3.975%. The final loan modification terms brought borrowers current and got an even lower fixed interest rate of 3.835% for the first 5 years and 4.75% fixed interest rate for the life of the loan, with a new permanent monthly mortgage payment of $1,637.54. Borrowers also earned a principal forgiveness totaling $92,775.57. The principal balance of the loan will be reduced $30,925.19 annually for the first three years. These New Jersey homeowners were 13 months past due on their FHA loan and owed $24,762.60 to Bank of America mortgage, including an escrow shortage of $6,926.14. Monthly mortgage payments were $1,746.47 PITI with a 6.5% adjustable interest rate (ARM). The home was saved and the past due amount was put to the back of the loan, with a new monthly mortgage payment of $1,710.84 PITI and a 5.25% fixed interest rate. The homeowners get to keep their home. These Florida homeowners were past due $173,115.13 or 34 monthly mortgage payments. Their monthly payment was $2,174.71 with a fixed interest rate at 7%. Payment decreased by 1,154.38. Loan balance will be decreased by $108,241.18. Homeowners received a permanent loan modification with Bank of America with a new monthly mortgage payment of $1,020.33 PITI, saving them $1,154.38 per month. They will have a 2% interest rate for 5 years and after the 7th year the interest rate will be fixed at 4.625% for the life of the loan. They are also eligible for a principal forgiveness of $108,241.18, or nearly one-third of their total balance, as long as they make their payments on time for the first 3 years. Homeowners were past due $37,814.09 and in active foreclosure on their Bank of America loan, with monthly mortgage payments of $2,735.35 PITI and a 7.125% interest rate. Approved for a trial plan under Making Home Affordable. New monthly mortgage payments of $1,975.10. 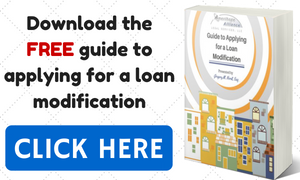 Permanent loan modification saved the home from foreclosure with no upfront fees required. New monthly mortgage payments of $1,975.23 PITI, saving $760.12 per month. Their interest rate is fixed at 2% for 5 years, increasing by 1% every year until it reaches a 4.5% fixed interest rate for the life of the loan. Monthly mortgage payments were $1,270.72 PITI. The Bank of America homeowner was 41 months late making mortgage payments and owed Bank of America over $54,000. This was an FHA mortgage with a 7.00% interest rate. After completing a Making Home Affordable trial loan modification period of three months, the new mortgage payment is $1,303.58 with a 4.375% fixed interest rate for the remaining life of the loan. No upfront fees are required by Bank of America and this client is able to keep their home after nearly 4 years of not paying the mortgage. This was a interest-only mortgage with a monthly mortgage payment of $889.43 and 6.50% interest. The mortgage payments were 27 months behind and the property was in active foreclosure. Our client was granted a trial loan modification with 3 monthly payments of $715.15. After successfully completing the trial loan modification, the monthly payment was further lowered to $609/16 with a fixed 5% interest rate. The principal amount of $50,264.88 is deferred and the interest bearing principal is $117,284.75. The lower monthly mortgage payments are no longer interest only, and are now paying down the principal with a much lower monthly payment. The foreclosure case is dismissed and the client gets to keep their home. This is a much better mortgage for the homeowner because now the principal is being paid. Monthly mortgage payment was $4,633.69 and the client was 14 months past due totaling $63,742.29 owed to Bank of America. Client was approved for a Making Home Affordable Trial modification with 3 payments of $3,958.11. Upon completion of the trial loan modification, the client will be granted a mortgage principal reduction of $90,294.65. Monthly mortgage payment was $1,760.63 with an adjustable interest rate of 7.375%. The homeowner was in foreclosure and 31 months behind. Almost 3 years of not making a mortgage payment. Over $55,000 past due. Monthly mortgage payments of $871.44. Saving $889.19 per month. After the Making Home Affordable 3 trial payments are completed, the final loan modification will take effect. There is a fixed interest rate of 4.611% and a $161,429.44 principal reduction. Wonderful loan modification! This bring the payments down to an affordable amount and the house is no longer underwater. Saving of $889 per month with at rate reduction of 2.7%. This Bank of America mortgage was 12 months behind, with monthly mortgage payments of $849.77 and an interest rate of 8.5%. Client was required to make 3 trial loan modification payments of $605.81. After successfully completing 3 trial loan modification payments, client was granted a final loan modification. The new mortgage payment is $535.20 with 3.625% interest rate. The interest rate will increase in 3 years to a fixed 4% interest for the remaining life of the loan. Our client's mortgage payment was reduced by 35% (saving $314 per month). Homeowner was 3 years behind on mortgage payments, owing $46,455 to Bank of America. Their mortgage payment was $1,297.69 and they had a very high fixed interest rate of $9.375%. Homeowner was approved for a Bank of America trial loan modification with three monthly payments of $917.52. After making three trial plan payments, our client was approved for a permanent loan modification, with monthly payments of $913.18 and a low 3.875% fixed interest rate. This is a great Bank of America loan modification with monthly savings of $384.51 and a significant interest rate reduction. Bank of America will forgive the principal amount of $36, 281.52 after 3 years of timely payments. Homeowner was in foreclosure after missing more than 26 mortgage payments. Homeowner owed Bank of America $100,130.16, and had monthly mortgage payments of $3,851.16. Trial payment plan with monthly payments of $2,458.02 per month. Upon completion of the trial plan, Bank of America has offered a principal reduction of $290,222.87 and a permanent loan modification. Homeowners were 29 months past due and in foreclosure. With monthly payments of $3,3489.30 and additional fees they owed Bank of America over $100,000.00. Borrower was granted modified mortgage payments of $2,349.69 and a step up interest rate that begins at 2%. Monthly savings of $1,140.00. Borrower was 47 months past due owing$50,214.15. She had a high 8.75% interest rate and a monthly payment of $1,252.29 PITI. Borrower received a Department of Justice 3 month trial plan starting December 1st, 2012. Her new monthly payments are $520.63 PITI and she received a $154,468.97 principal reduction. A savings of $731.66 per month. Borrower was 20 months past due ($75,116.44) This was an interest only mortgage with a 6.75% interest rate and a monthly payment of $3,927.04 ITI. Borrower received a 3 month Department of Justice Settlement trial plan starting December 1st. He received a 3.88% fixed interest rate, a monthly payment of $2,646.55 PITI and a $273,353.81 principal reduction. This is a $1,280 savings per month and a low interest rate.